Kirsty Young's castaway is singer-songwriter Christy Moore. 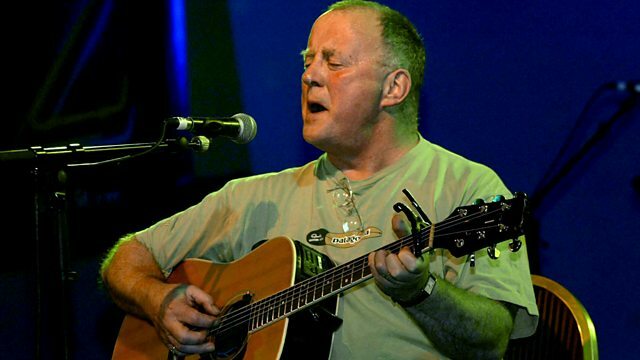 Kirsty Young's castaway this week is the Irish musician Christy Moore. His stature and influence in folk music is unparalleled - Bono, Elvis Costello and Billy Bragg are among those who cite him as a key influence. A passionate performer, he's the archetypal Irish poet and protest singer. In the late 1970s Special Branch raided the launch of his album H Block, his songs have been banned by both London and Dublin courts and, as recently as 2004, he was held by police and questioned about his lyrics and lifestyle. Not all the struggles he's dealt with have been political. By his own admission he wasted years, maybe even decades, boozing and bingeing on drugs. Having cleaned up his act he was then forced to confront the devastating legacy of his father's early death and how it affected him throughout his life. Elements of this programme may offend some listeners. Luxury: A set of Uillean pipes. Paul Anka: 30th Anniversary Collection. The Clancy Brothers & Tommy Makem. The Dubliners: 20 Original Hits, Vol.2. MacColl: Black and White - the Definitive Collection. A selection of Desert Island Discs programmes featuring famous musicians.